We’ve heard and read a lot about common Facebook Lottery Scams that are doing the rounds, and it’s clear something needs to be done about this as more people are becoming hoodwinked into giving large sums of money away. Of late, a newer scam has crept into consciousness and it involves the creator of the social media platform himself. 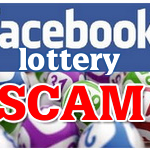 So, what is the latest news on Mark Zuckerberg and the Facebook Lottery Scam and how can you avoid it? Read on to find out more. When Gary Bernhardt’s phone chimed one night, it was a notification to say he’d won $750,000 in the Facebook lottery. Not only that, the message had come from Mark Zuckerberg himself. Staring in disbelief at his phone, Mr. Bernhardt didn’t know what to do. “I got all excited. Wouldn’t you?” he said. The sixty-seven-year-old man is a retired forklift driver and Army veteran in Ham Lake, Minnesota. During the course of the evening, he exchanged numerous messages with the person on the other end of the phone, who he’d assumed was the man himself. He was told that in order to claim his huge win, he’d have to send on $200 in iTunes gift cards. A short time later, he bought the gift cards at a gas station, sending the redemption codes to the account that claimed to be Mark Zuckerberg. Thinking he was going to receive his money, he waited, but the requests for money didn’t stop. By the following January, Bernhardt had sent an additional $1,310 in cash which equates to a third of his Social Security checks over three months. After some time, he realized that he’d been conned out of a lot of money and he wouldn’t ever see his prize. Unfortunately, Mr. Bernhardt is just another victim of a scam that’s been sweeping both Facebook and Instagram, and one that seems very appealing to unwitting members of the public. It comes at a time when Zuckerberg says he’s going to try and make the effort to clean up both social media sites, but it has so far done little to rid them of these fake accounts that see con artists masquerading as him and his chief operating officer, Sheryl Sandberg, to swindle Facebook users out of thousands of dollars. In total, after an investigation by the New York Times, there were over two hundred impostor accounts impersonating Zuckerberg and Sandberg. Of these, fifty were found to be lottery scams, one of which had targeted Mr. Bernhardt. Some of these accounts go as far back as 2010. It was only after the New York Times informed Facebook what it had found, that all the accounts were banned. Pete Voss, a spokesman for Facebook said, “Thank you so much for reporting this,” adding that “It’s not easy,” to spot all these fake accounts: “We want to get better.” he added. Whilst Facebook claims that it requires people to use their authentic names and identity, the company has estimated that perhaps three percent of its users, which could be up to sixty million accounts, is fake. Some of those accounts are disguised as ordinary people, some pretend to be celebrities. “Fake accounts, overall, are a big issue, because that’s how a lot of the other issues that we see around fake news and foreign election interference are happening as well,” Mr. Zuckerberg told lawmakers in Congress. He claims to be hiring more staff to tackle this, but so far it has done little to abate these scams. Interviews with six recent victims and online conversations with nine fake accounts showed that the Facebook lottery deception is alive and well. In particular, the con artists tend to prey on older, less educated people, or those that live on very low incomes. These impostor accounts end up with hundreds or even thousands of followers. They’re supported by a group of other fake accounts, all with generic names. These purport to be ‘Facebook Claim Agents’. The con artists find victims who look, from their profiles, to be vulnerable. 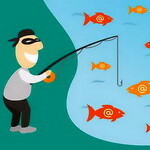 The fake accounts share information between themselves and pounce on the people time and again. A lot of the fake accounts can be traced to Nigeria and Ghana. You’ll get a pitched message that starts with “Hello. How are you doing?” on Facebook or Instagram. This account will then go on to inform you you’ve won a huge prize on the Facebook Lottery. Just a few days later, the same account said it now needed a $100 iTunes gift card to process and activate the winning ATM card. iTunes cards are used because they can be redeemed for a lot of money on the black market. Victims such as fifty-year-old Donna Keithley a mom to four children in Martinsburg have also been scammed. Two years ago, she was contacted by someone called Linda Ritchey “on behalf of the Facebook C.E.O Mark Zuckerberg” to pass on word of her good fortune: $650,000 in lottery winnings. Ms. Keithley wired $350 the next day. The scam played out over a month and the con artists played on Keithley’s faith to get at her. She also received a call from a Zuckerberg impostor who assured her the lottery was real. She even heard from a Facebook account masquerading as Eileen M. Decker, the former United States attorney in Los Angeles, asking for $205 to process her winnings. The scammer then made Keithley open new credit cards and bank accounts, and even to get a loan using her husband’s car as collateral. Midway through the month, she said she had a minor stroke from the stress. By April 2016 she had paid the scammer $5,306.43, much of it in money transfers to the name Ben Amos in Lagos, Nigeria. The ordeal was so costly that the family’s telephone service was shut off. They also had to go to a food bank. Once they realize they have been scammed, victims can feel too ashamed to come forward or to know what to do next. Gary Bernhardt, the retired forklift driver, said he didn’t know how to report the scammers to Facebook. Donna Keithley said she had called a number for Facebook she had found online, though she was not sure the number was authentic. She also reported the scam to local police, who said they couldn’t help, and the Pennsylvania attorney general. They claim not to have heard from her, but now the case has come to light in the media have said they will investigate further. Is Facebook Too Slow to Act? 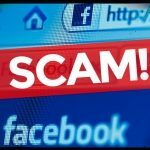 Many people claim to have reported scams to Facebook but have said the company has been way too slow to act. Fifty-five-year-old Kathryn Schwartz from New Jersey said she has been in credit-card debt since she lost $1,742 trying to claim bogus Facebook lottery winnings in 2016. Since then she says she has been pestered by scammers and has said she now reports all these regularly. Recently she has been contacted by someone called Mary Williams, who said she could help her claim winnings… A review of the account showed that in March it had renamed itself, purporting to be a Boise, Idaho, native who works at Facebook. Years of posts before that depicted a man in Nigeria. When she flagged this up on Facebook, the con artist left a comment on her post to say: “You think you are smart but you are not. If you were smart why were you scammed.” The emojis tacked at the end of the message were crying with laughter. 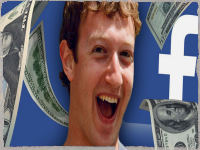 Gary Bernhardt said that since he wired his last payment to the Zuckerberg faker in January, he has heard from two other Mark Zuckerbergs, one Sheryl Sandberg and other accounts promising him winnings in return for more cash. However, he says he is wiser now even though he was really taken in by the first account: “I thought we were getting real close. He started calling me Mr. Gary and I started calling him Mr. Mark. They sucked me in because they knew my dreams,” he said, after revealing to them he had grown up in a foster home and always wanted a house of his own, by a lake. These stories as timely, and proof if it was ever needed, that social media platform Facebook really needs to act now to sort itself out before anyone else is conned out of their hard earned money. A facebook friend of mine contacted me saying that she received a prize of R1m and that she saw my name on the list of winners and that I should contact this person, which I did. A lady claiming to be an employee of Facebook, going by the name of Helen Klopper and living in Cape Town South Africa, scammed me into believing that I won R670 000.00. I however had to pay R4700.00 in order to claim my prize. Delivery of my prize money was confirmed for this morning. When checking with her again this morning, she said that I need to pay a further R7000.00. After confronting her about the validity of all of this, she sent me a Facebook Winners Certificate as well as a letter from the Supreme Court, Washinton, confirming my winnings and that I must pay the R7000. I of course refused. I am going to file a complaint with our local police.